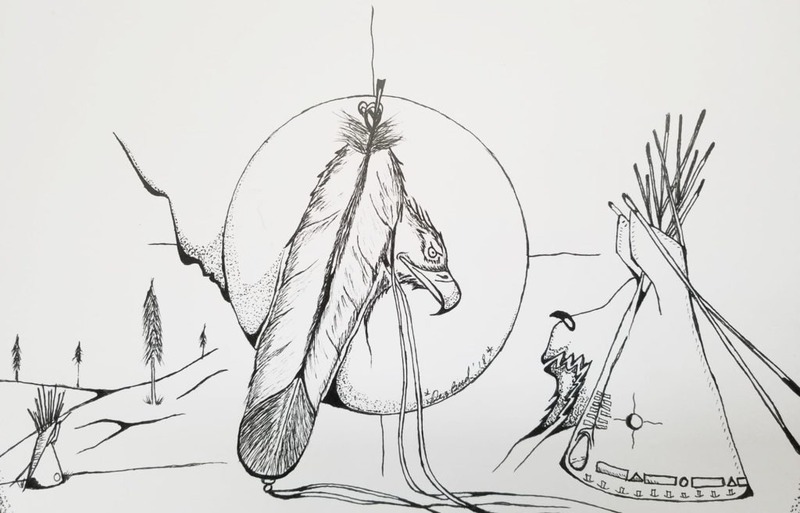 Dez Bird uses pen and paper to capture the essence of Native American imagery. He developed his passion for art in high school, when he found out he was really good at it and he could rely on his art marks to keep his grades up. 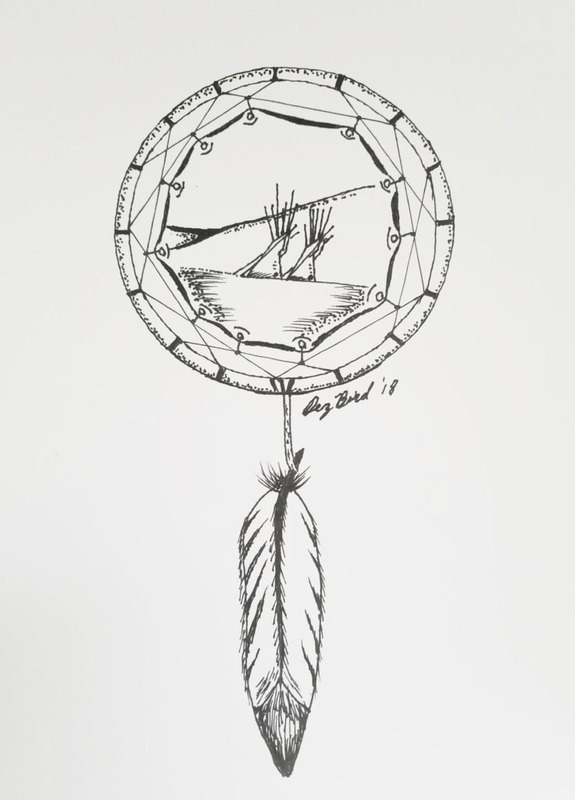 Dez presently uses art as a tool for healing through his own journey of dealing with past struggles with addiction. 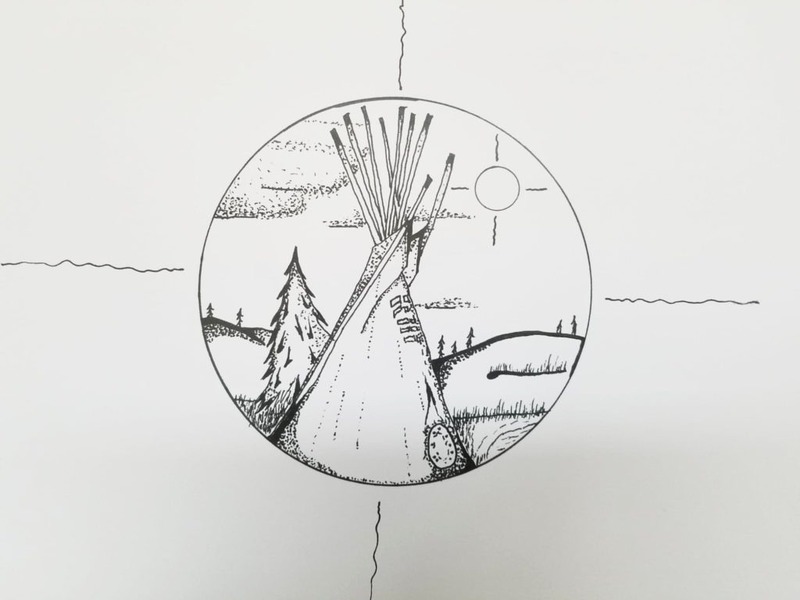 His passion for art has led him to pursue training as a Mental Health and Wellness Counsellor at Saskatchewan Indian Institute of Technologies. 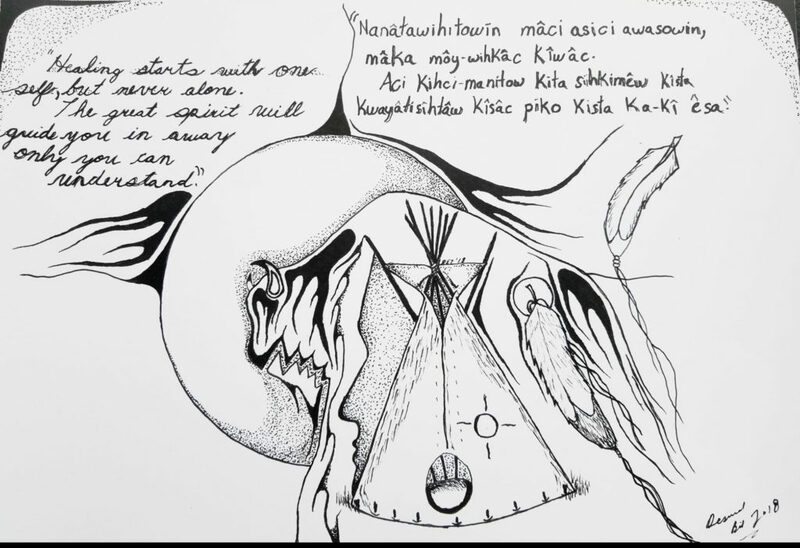 Through his training Dez was able to complete a practicum at the SCYAP Art Centre, where he was able to use his art to help others on their own healing journey. 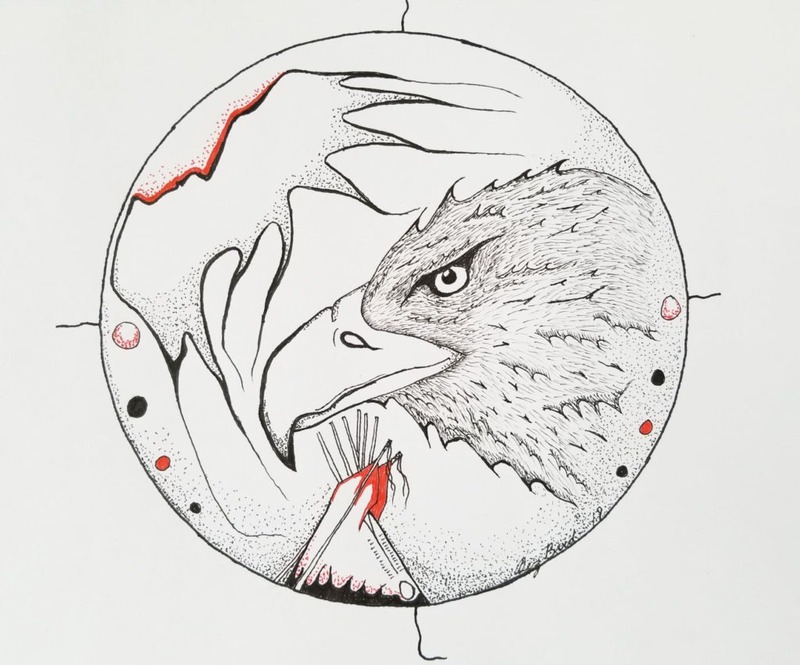 Dez was born in 1984, and is from the Montreal Lake First Nation, but was raised in Prince Albert, Saskatchewan. 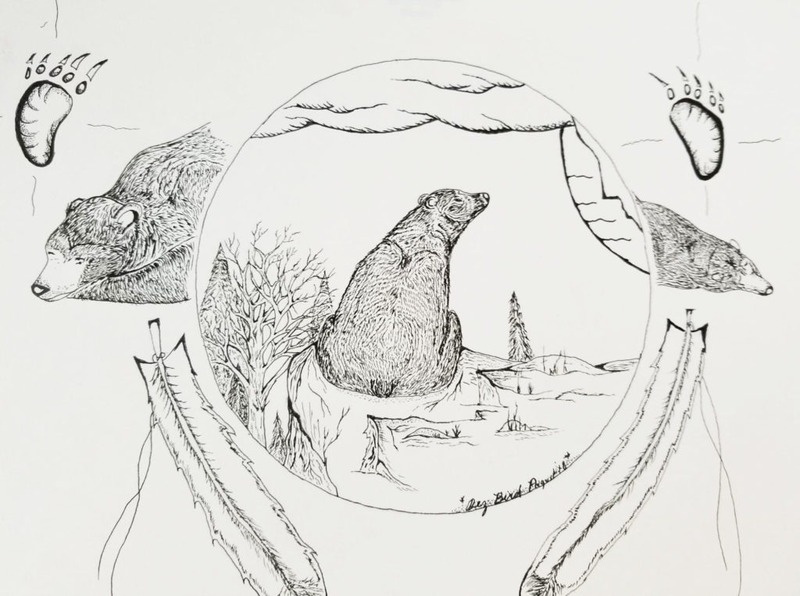 He has lived in Saskatoon since 2006 with his wife Sheena and their 2 kids, both of whom are artistic like their dad. Art allows Dez to spend time practicing what he loves while also keeping him focused on going in the right direction for his kids. 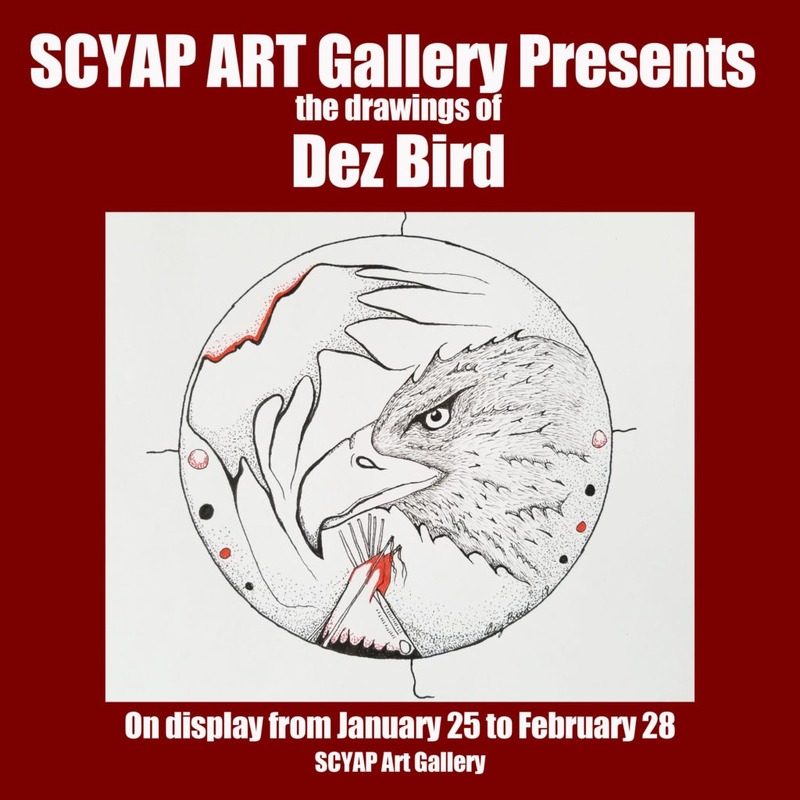 This is Dez’s first solo art show.